St. Louis Park is a growing community, only a few minutes west of the Minneapolis area. With a population of 48,747 and 10.67 total square miles, the average home value is 255,800 and the average list price is 272,400 according to Zillow. It’s convenient location, wide variety of retail stores, restaurants, and parks are only a few of the luxuries residents have when living here. St. Louis Park was named one of the “100 best communities for young people” by America’s Promise Alliance. Although St. Louis Park has become a larger community for younger adults, it is still an overall great place to live for families and all ages. St. Louis Park public school district consists of four elementary schools, a Junior high and High school. Benilde St. Margarets is the areas private school option, serving grades 7th-12th. They were named ninth in the “2017 Best Private High Schools in Minneapolis, St Paul Metro”. Benilde is also known for their athletics, where multiple teams have consecutive years of participation and championships in section and state tournaments. 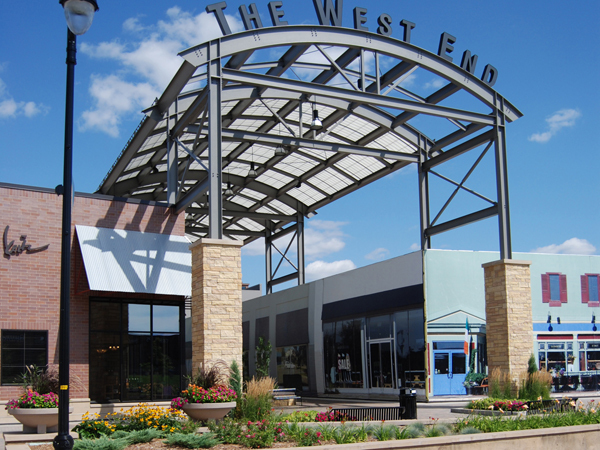 The shops at West End is your main spot for the ultimate shopping, dining, and entertainment experience in St. Louis Park, located conveniently on West End Blvd. With accesible ramp and street parking you’ll never have to walk far. The Yard House, Punch Bowl Social, Rojo Mexican Grill, Bluefox, and Crave are just a few of the dining options when visiting West End. They all offer patio dining which makes for a great experience with the warm weather and sunshine. To look up other restaurants in the area along with menus and happy hour deals, take a look here. On top of the dining options, West End has multiple retail stores including Lululemon, Anthropologie and more. Heres a complete list of shops. The Shops at West End will give you the luxurious, urban lifestyle that you’re looking for, all while having the comfort of being close to home. There’s always something to do in the Park area. Punch Bowl Social is a newer addition to The Shops at West End, which is like an adult arcade. Bowling lanes, Darts, ping pong, and 80’s Arcade, and plenty more is what you can do while visiting. You can with a group friends for a night out or plan a party, they take reservations and also offer a fun variety of specialty food and drinks. Showplace Icon Theater is another attraction in the West End area. This movie theater is different from any other in the cities. They offer an unforgettable and extravagant movie-going experience with its top notch sound and display technology, along with its IconX theater that stands out from the rest, with VIP 21+ reserved seating. St. Louis Park is also only a couple miles away from the Uptown area. There’s plenty more dining and shopping options as well as the Lake of the Isles and Lake Calhoun which are great for a beach day, kayaking, biking, or walking on the trails. St. Louis Park has a variety of featured parks in the area, Aquila Park, Oak Hill Park, Westwood Hills Nature Center, and Northside Park are just a few. Look here to see a full list of neighborhood parks, trails, and dog parks. The Minneapolis Golf Club is also the main course in St. Louis Park, but there are other options nearby, in Golden Valley and Hopkins Such as Brookview Golf Course and Meadowbrook Gold Course which will be re-opening with renovations in late summer 2017. Good news for future residents of St. Louis Park. According to the U.S. Census Bureau, residents only spend about 20 minutes driving to work on a one-way trip. The area has great access to major highways such as I-394, highway 100, highway 7, and highway 169 that will make all your traveling easier and your drive to the cities a lot more convenient.